Das Zitat wird erst im 21. 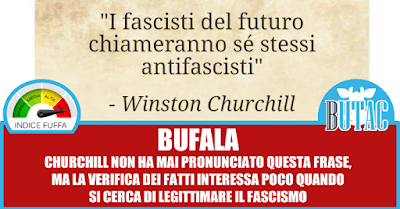 Jahrhundert Churchill zugeschrieben. Noch nie hat es jemand in einer der Schriften Winston Churchills gefunden, was auch durch einen Brief der Churchill Society bestätigt wird. 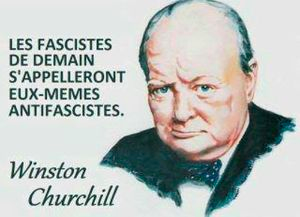 Dieses relativ junge Pseudo-Churchill-Zitat wird von Leuten aus dem rechten Spektrum auf der ganzen Welt gerne und oft gegen Antifaschisten verwendet. Entstanden ist das Zitat in den USA in den 1930er Jahren. Es wird seit 1936 oft dem demokratischen Politiker Huey Long zugeschrieben, aber die Zuschreibung erfolgte erst nach seinem Tod und die Quellenlage ist nach der Einschätzung Garson O'Tooles unklar. "My own belief, more than once set afloat from this spot, is that it will take us, soon or late, into the stormy waters of Fascism. 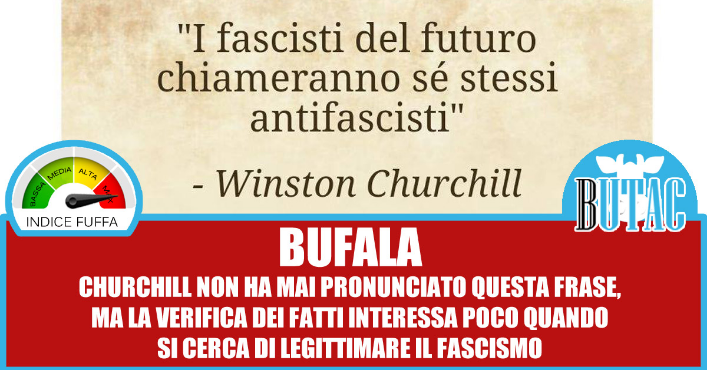 To be sure, that Fascism is not likely to be identical with the kinds on tap in Germany, Italy and Russia; indeed, it is very apt to come in under the name of anti-Fascism. And its first Duce, whether the Hon. Mr. Roosevelt or another, will not call himself a dictator, but a scotcher of dictators." 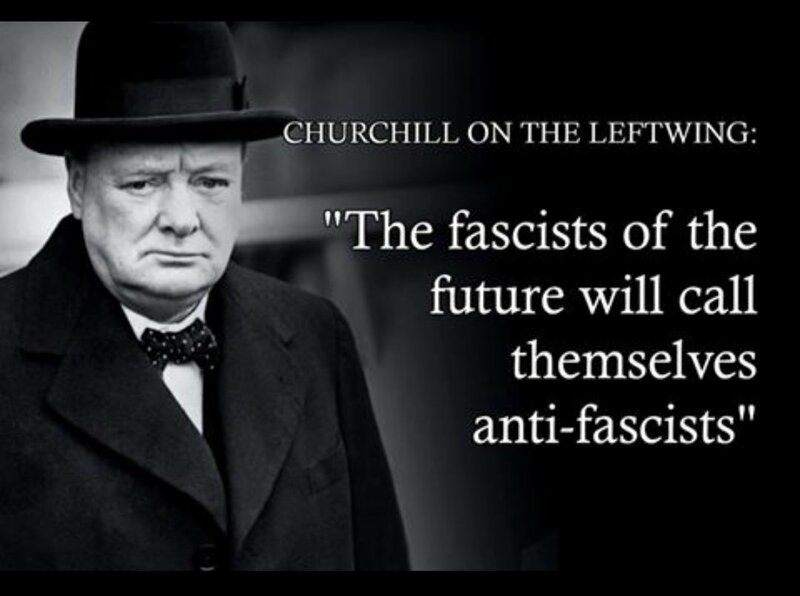 Wikiquote Talk: " I actually contacted the Churchill Society and asked them if Winston Churchill had ever said "the fascists of the future will be called anti-fascists" They replied saying there was absolutely no evidence anywhere of him ever saying is and so, therefore, he didn't say it. For some reason it has been attributed to him incorrectly."